To reduce patients’ spending on prescription drugs, both Congress and a number of states are considering legislation that would allow Americans to purchase supposedly much cheaper medicines from Canada and elsewhere, which could put Americans’ health and safety at increased risk. Already Vermont enacted a first-in-the-nation law to facilitate the importation of drugs from Canada and other states are considering similar bills. At the same time, companion bills have been introduced in the Congress – the Affordable and Safe Prescription Drug Importation Act (S.97/H.R. 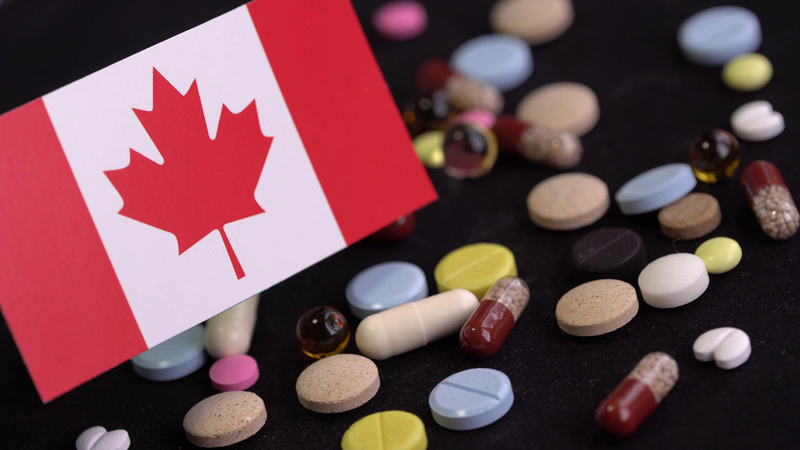 447) and the Safe and Affordable Drugs from Canada Act of 2019 (S. 610) – that would allow for personal and commercial importation of prescription drugs outside of the Food and Drug Administration’s (FDA) oversight. Unfortunately, however, any savings for patients from buying imported drugs would be minimal while the consequences of counterfeit or adulterated drugs infiltrating the US pharmaceutical supply chain could be life-threatening. Despite current federal and state legislative proposals, drug importation is not a new idea: several states and cities tried piloting drug importation programs but without success. One reason is the high cost of creating an importation program. This was borne out when six states tried and abandoned a contract with a Canadian operator of online pharmacies due to the $1 million price tag to implement the program. Another reason states have not moved forward is the lack of significant cost savings from importing prescription drugs from other countries. Proponents cite the high cost of specialty medicines as the rationale for importation. However, 89 percent of the prescriptions in this country are filled with generic drugs compared to Canada where the generic share of the total number of prescriptions in 2017 ranged from 68 percent in the province of Alberta to nearly 74 percent in Manitoba. As a result, a study by the Congressional Budget Office estimates that legalizing prescription drug importation would reduce drug spending by only 1 percent. The U.S. government cannot guarantee that drugs shipped into the United States from other countries will meet strict US safety standards. The Food and Drug Administration (FDA) has repeatedly cautioned it cannot make safety and quality determinations for prescription drugs that have not gone through the U.S. regulatory process. This is significant because foreign drugs may have different labels and be different in dosage and strength, increasing the risk for patients and putting added burden on healthcare providers and pharmacists. Under the Medicare Modernization Act (MMA), enacted in 2003, Congress gave the Secretary of the Department of Health and Human Services (HHS) authority to certify that drugs imported from another country pose no additional risk to public health and safety and produce cost savings for consumers. This would allow states to move forward with drug importation programs, such as in Vermont. However, to date, no HHS Secretary has been able to make this certification. Legalizing importation will exacerbate the challenge of preventing counterfeit drugs from reaching American patients. According to the World Health Organization (WHO), one in ten medicines sold worldwide are counterfeit, which WHO defines as drugs that have not been approved by regulators, fail to meet quality standards or deliberately misrepresent an ingredient. The U.S. Drug Enforcement Administration (DEA) has already warned about the threat of fake, adulterated and addictive drugs, like counterfeit fentanyl, making their way into the US illegally via Canada and other countries. This threat will only increase if drug importation proposals move forward at the federal and state levels. Foreign governments are not in the position to monitor and regulate medicines that are intended for the U.S. market. In fact, the Canadian government is on record as saying it cannot be expected to ensure the safety of medicines shipped through Canada for export to the U.S. or other countries. This is especially noteworthy because Canadian internet pharmacies regularly import drugs from less developed and less regulated countries, like Turkey, so there is no way to ensure that imported medicines purporting to be from Canada really come from Canada. As documented by a four-airport sting operation conducted by the FDA in 2005, only 15 percent of the drugs coming into the US from online Canadian pharmacies were actually from Canada: the other 85 percent of "Canadian" originated in 27 different countries and more than a third of those drugs were potentially counterfeit. In 2013, Congress passed the Drug Quality and Security Act, a bipartisan bill requiring every package of drug product sold in the U.S. to carry a product identifier that enables electronic tracing of that product throughout the drug supply. By 2023, all manufacturers, repackagers, wholesalers and pharmacies must participate in this system, creating an interoperable electronic drug security system that can track every unit of drug product, everywhere in the supply chain. Yet this important legislation would be weakened substantially if Congress were to enact drug importation legislation. Instead, imported medicines would be sold into the US system without the product identifiers necessary to allow a full electronic and interoperable drug security system, making it difficult for those in the supply chain to determine which drugs are counterfeit or otherwise illegal and which are legally imported. In light of these concerns, almost all stakeholders – from HHS Secretary Alex Azar, the current and former FDA Commissioners, law enforcement officials, physician and pharmacy societies, and most consumer and patient advocacy organizations – are opposed to importing prescription medicines from other countries. The reason is simple: allowing unregulated foreign medicines into the US could jeopardize the health of millions of Americans – and that is not an acceptable solution to lower the cost of prescription medicines. Along with many other patient advocacy organizations, Patients Rising Now opposes both state and federal legislation to allow the importation of prescription medicines because the cost savings would be minimal while the safety risks would be high. Especially for Americans battling life-threatening diseases and complex rare conditions, the promise that the medications they are taking are strictly regulated and are safe are essential for responsible drug policy.